Kelana Jaya, 6th July 2008: The Maestro. 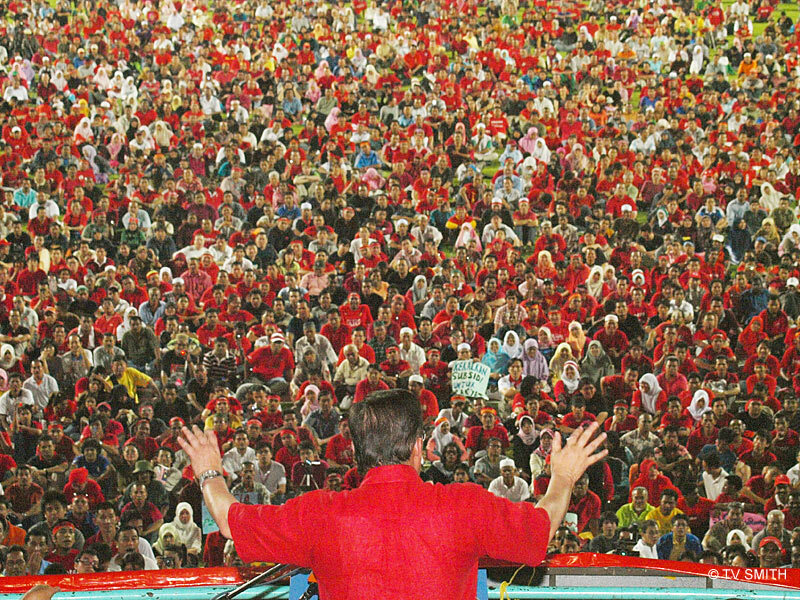 Like a skilled conductor, Anwar Ibrahim whipped the stadium into a frenzy. Attendance was way less than the one million advertised but the fuel price hike protest proceeded almost peacefully. See Next Pic.